The Communication Workers of America (CWA), New Jersey, became the latest labor union to endorse councilman Andre Sayegh for mayor on Thursday. Hetty Rosenstein, director of the New Jersey chapter, described Sayegh as “progressive” leader in his endorsement. The union represents 1,000 families in Paterson, according to the director. “We look forward to talking to them and their neighbors about moving Andre’s vision forward,” said Rosenstein. Sayegh thanked the union for its support. “I am grateful for the confidence and support being provided by the members of CWA. This support in a tough race for the Mayor’s Office goes a long way toward my goal of serving the entire City of Paterson, the city I love,” said Sayegh. Sayegh is among six men running for mayor. Others are Michael Jackson, William McKoy, Pedro Rodriguez, Alex Mendez, and Alex Cruz. 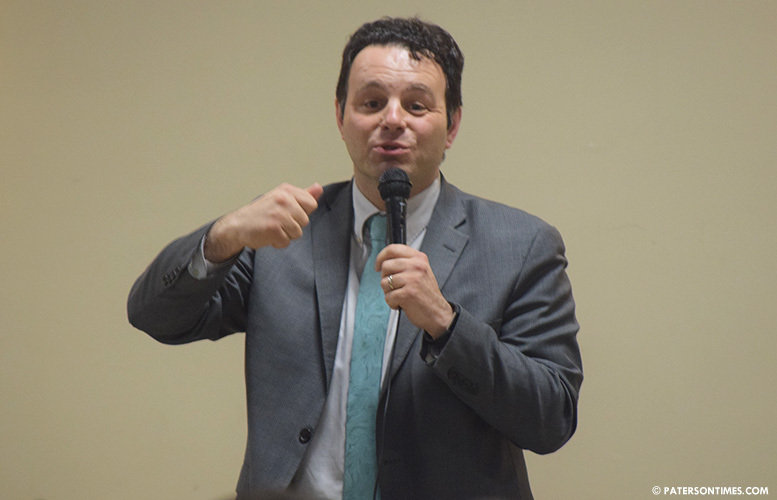 Sayegh, who is serving his third term on the city council, was criticized at a debate on Thursday night by his opponents, who received fewer endorsements, for getting the backing of so many outside groups. Some criticized him by stating outside support means he will be beholden to them to dole out favors when elected mayor. Sayegh has often hit back by asserting his opponents are only criticizing him for their failure to attract outside endorsements. “As a city councilman from the 6th Ward of Paterson, I have helped lower crime and attract investment for new developments throughout my ward, I want to take what I have learned in the 6th Ward and bring it to the entire City,” said Sayegh. Paterson needs Sayegh, he has my vote.